Measuring 7" from the bottom of the heel to the calf, the spats are constructed with vertical FR hook and loop closure on the back to provide proper fit. A leather tab on the top of the hook and loop closure allows quick and easy removal of the spat. 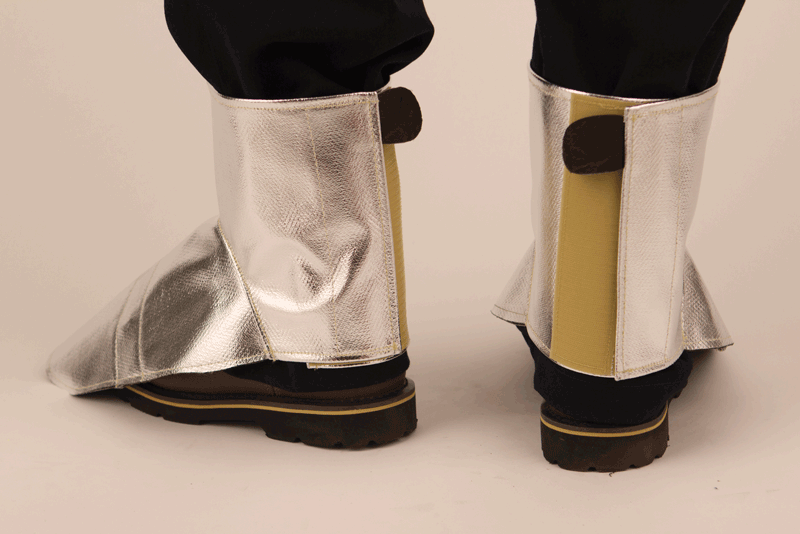 The front of the spat can be shaped to the top of the foot by forming the sewn-in insert. Leather lining on the underside keeps the spat in place. 14 inch spats are also available. 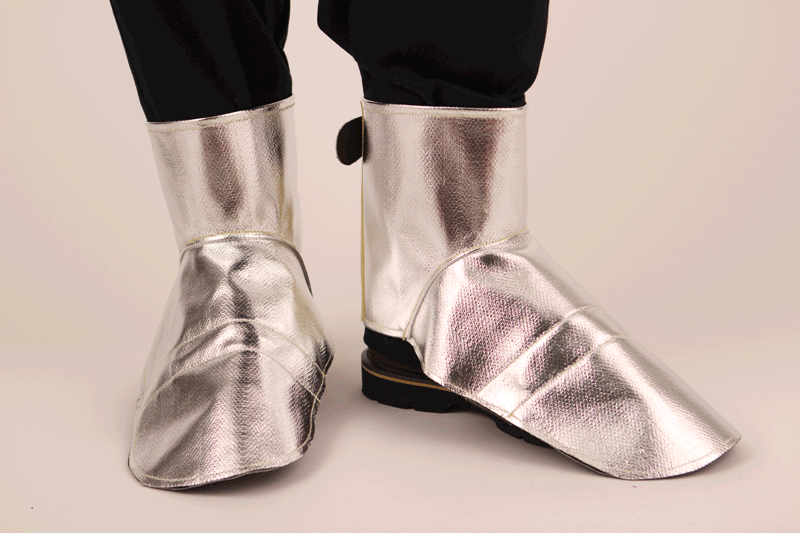 An essential piece of PPE, the 7 inch spats are constructed with OPF and Twaron® on the inside and aluminized on the outside for reflectivity and molten metal splash protection.